The CornerStone – Short Sleeve SuperPro Twill Shirt Style SP18 is available in Adult Sizes: XS-4XL. Our hardest working shirt is simply super. Built to withstand the wear and tear of any tough job, our SuperPro Twill is also peachy soft and stain-resistant. 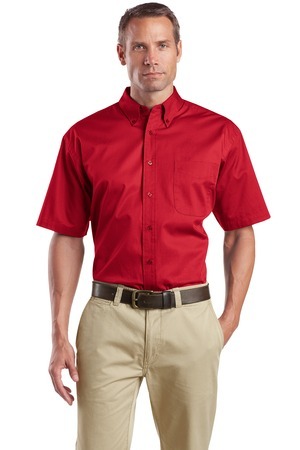 Be the first to review “CornerStone – Short Sleeve SuperPro Twill Shirt Style SP18” Click here to cancel reply.